1972. The discovery of oil in the North Sea revealed Prime Minister, Edward Heath concerns about Nationalist opinion and the poor state of the Scottish economy. Alert to opportunities for change he initiated a policy review. Heath’s stance created alarm at Westminster and led to many “on and off the record” meetings between various factions within and outwith government and the civil service resulting in an outpouring of confidential minutes and memos. Primary contributors being: the Scottish Office, the Exchequer, and the then Department of Trade and Industry led by the Scottish Secretary of State, Gordon Campbell, (later Baron Campbell of Croy) and the, Chancellor of the Exchequer, Anthony Barber. Those in opposition to Heath’s proposals presented a uniform front and unanimously suggested that aims could be better met by investment in infrastructure and the fostering of fabrication yards and supply companies. 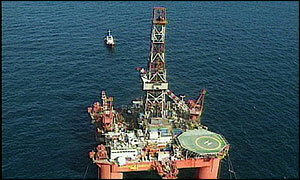 Treasury officials later said there was “no question of hypothecation” of oil revenue to finance Scottish expenditure. Their strident opposition to the suggestion gathered support, and submission of an alternative proposal, transferring all revenue gathered from the oil bonanza to the treasury in Westminster. The consensus was that, “any change in the financial relationship between Westminster and Scotland would resurrect innumerable issues, (A veiled reference to Scottish Independence) now mercifully dormant”. Edward Heath, blindsided, and out-voted in cabinet accepted their proposal. Scotland was then systematically ripped off for the next 43 year’s. The Scottish National Party (SNP) argues, (correctly) that Scotland has been and continues to be cheated out of its oil revenue by Westminster. The North Sea Oil tax structure deters development. The North Sea oil industry has reacted with alarm to Chancellor Gordon Brown’s decision to slap a 10% surcharge on profits. In his budget speech earlier on Wednesday, Mr Brown said he would abolish the “royalty” payment on North Sea Oil.He also announced plans to improve capital allowances for oil companies. But he spoiled the party for oil producers by slapping an extra 10% tax on UK oil production, taking it to 40% to “raise revenue”. The net result of these changes to the complex North Sea tax regime is likely be a greater share of oil income going to the government. Alex Salmond, the leader of the Scottish Nationalist Party at Westminster, said the tax supplement on profits was a threat to offshore jobs in Scotland, which was at the centre of the UK’s industry. “This supplement, which will take some £500m out of the North Sea industry in a full year, will be a serious threat to jobs. “Because Scotland is deprived of the North Sea tax, Gordon Brown will get the revenue while Scotland will lose the jobs.” Mr Salmond said he would be consulting urgently with the industry to assess the impact of the new tax. Those comments came after fellow MSP Alex Neil received a warm reception when asserting that it was time Scotland received all the cash raised from North Sea oil. 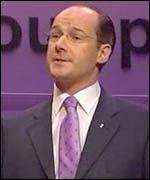 Mr Neil said there was enough oil under the North Sea to last for 30 years and raise £150bn. However, Mr Wilson said Scotland could prosper without relying on oil revenues. He said: “The reality is that we can do it without natural resources. We’re not going to win independence by promising it’s a free lunch. “There is no pot of gold – black or otherwise – at the foot of the independence rainbow.” Mr Wilson told the conference that Scotland needed the powers of an independent nation to realise its potential. The Scottish National Party has evolved from a party of protest to one capable of taking power, John Swinney has told activists.The party leader spoke of the prospects of a Nationalist-led government in a keynote address to the SNP conference in Inverness. Mr Swinney said he accepts that the SNP has attracted protest votes in the past, but he told delegates that his party was now ready to govern. The SNP leader promised a reformed Scotland and issued warnings about life under Labour.He said that the SNP would ensure shorter hospital waits, safer streets and better schools if the party gains power at May’s Scottish parliamentary elections. Boosting business was another key theme. Mr Swinney promised to end the use of private cash in the public sector but warned that there was no “pot of gold” with which to ensure a smooth transition to independence. The SNP leader said that Scotland needs the powers of independence to make a radical difference and “release its potential” – the party’s new slogan. 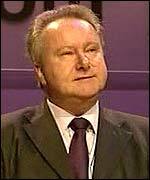 He directed his fire at the Scottish Parliament, telling delegates that criticism over his move for a debate on Iraq showed the limitations of the legislature. At the centre of Mr Swinney’s 40-minute speech was a promise that independence would create a passport out of poverty for many Scots. Mr Swinney warned that the SNP would not use Holyrood’s tax-varying powers to raise revenue if it won power but added that it would use a Labour “slush fund” of £370m held in reserve by his opponents.